I thought I was being terribly organised, I thought I could do it on my own, I was feeling rather smug. I had laid out all of the little squares and taken a picture. I then took a picture of each 16×16 block so I could remember the layout. Clever hey? I have no idea how it happened but in the process of piecing, several of the blocks ended up coming together all in the wrong order. 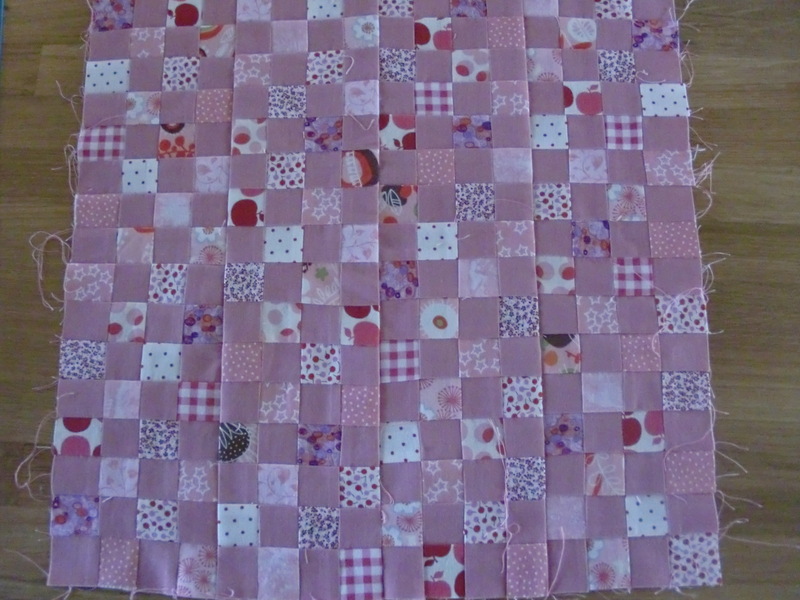 I even ended up with a block that had two patterned squares the same – horror of horrors! Worse than that I also had some wonky seams! 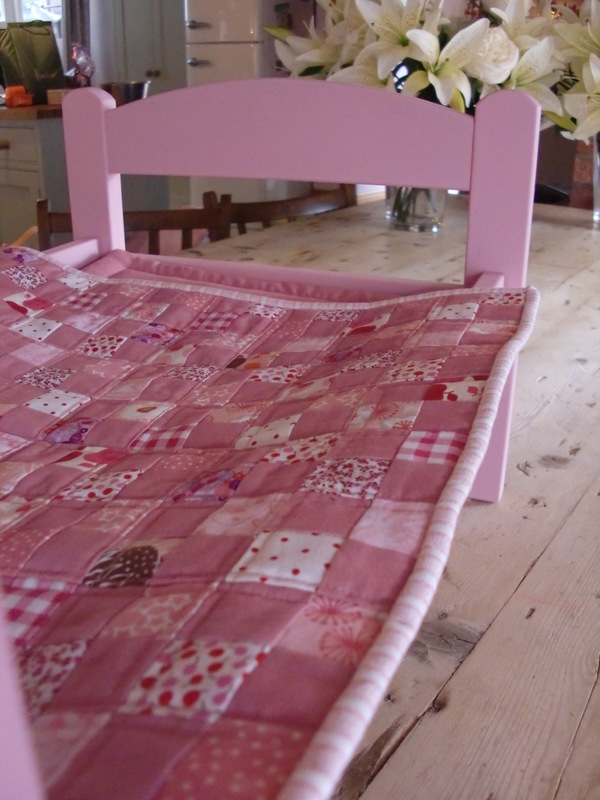 To be honest I’m not really worried about the blocks being a bit hap-hazard, as it’s a doll’s quilt and I’m fairly sure that the dolls will not mind too much that the pattern distribution is not ‘perfect’. I’m a bit sad that all of my seams are not straight, but I guess that’s what happens when you sew in a rush…. 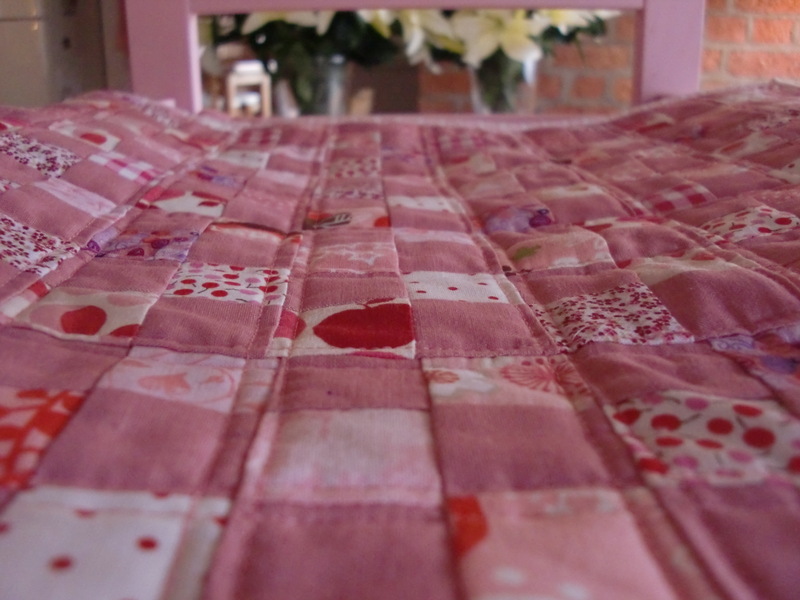 The fabrics I used are ‘left over’ from the quilt that I made for my niece when she was born. I still have loads left so I think one of my two might get something for Christmas….. The little bed came from Ikea. It was a plain wood, but a squirt of pink spray paint later and it looks really lovely. what do you think….ok for a first attempt? 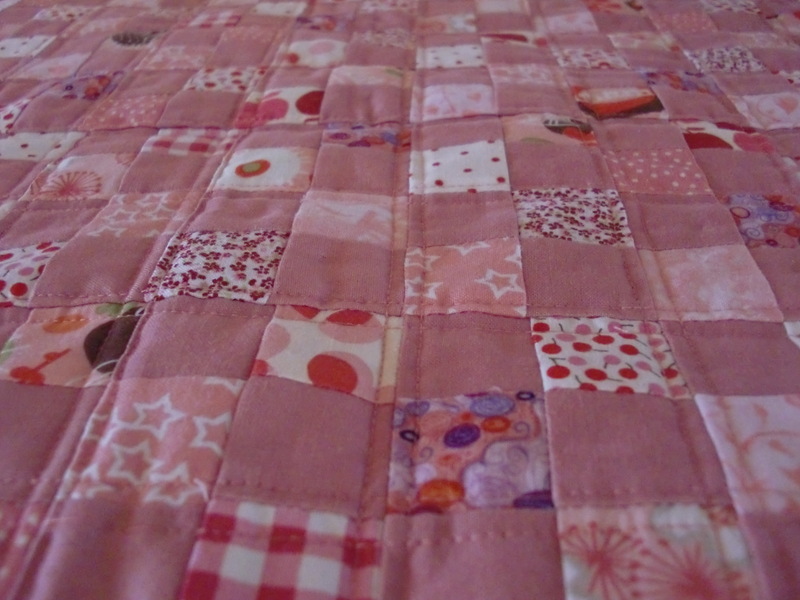 The quilt looks lovely! 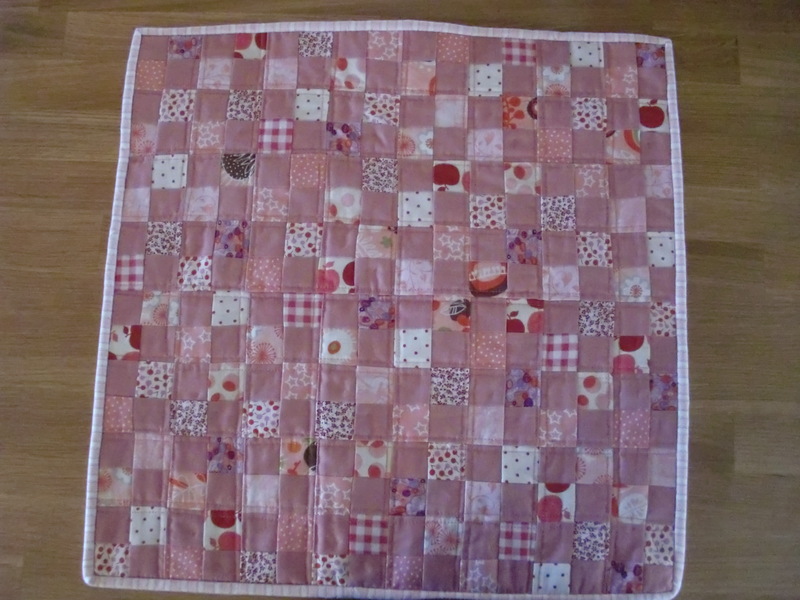 Well worth all that sewing of many tiny squares.